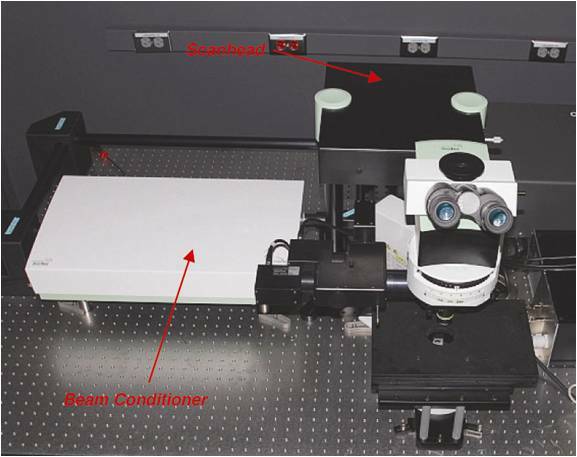 To deliver these results the TriM Scope utilizes a unique imaging setup that scans the specimen with 64 beams simultaneously. First, 64 beams deliver 64 times more fluorescence light keeping the intensities in individual beams – and so the damage – low. Next, more fluorescence light allows higher frame rates. Finally, CCD cameras deliver much better sensitivity than PMTs.